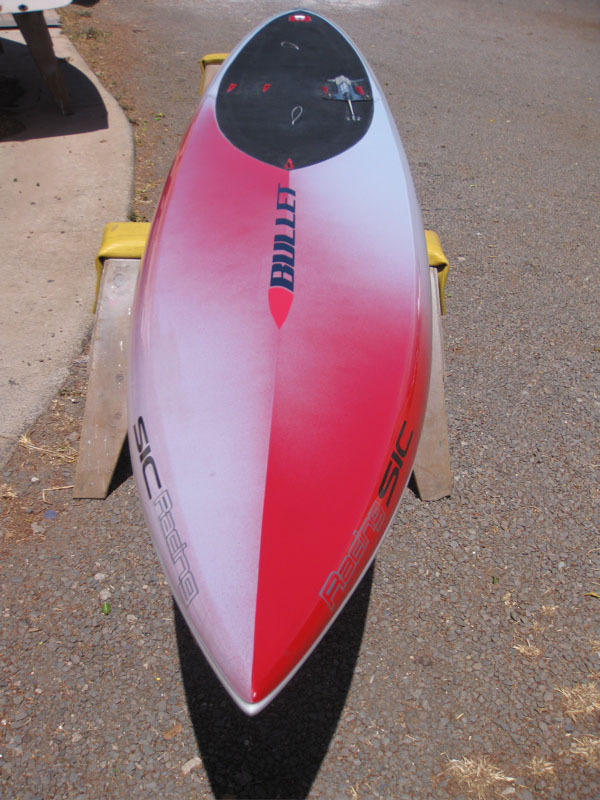 Here is the latest SUP racing board from S.I.C., the new 17′4″ Bullet. This is what the S.I.C. team rode in the 2010 Molokai to Oahu race. Check out the video below where Mark Raaphorst tells us more about the Bullet 17′4″. Boardworks Hawaii is having a limited time sale offer on 9′3 PSH Rippers: $999 including fins sale price is good while supplies last (regular msrp is $1299). All boards have carry handle, five fin boxes that allow quad and 2+1 fin setup and are made with light and durable molded epoxy sandwich construction. Ocean Canoe Paddling Championships rock Oahu. An incredible weekend of OC paddling with two back-to-back Championship Regattas hosted by the Hui Wa’a and Oahu Hawaiian Canoe Racing Association. The regattas are purely awesome events with thousands in attendance- not only competing in sport, but perpetuating tradition, culture and sharing much ALOHA. Six person crews hammer all out in anaerobic threshold effort during in sprint distance races ALL DAY long. Planet Sun enthusiastically on site at each event, offering suncare to all in Extreme UV Index conditions… PS pump sunscreen and Personal SunShelter UV Brellas dotted the lagoon. Airing on Wednesday evening at 19:00 (7pm) Central European Time is Stand Up World Tour stop number 2, in Anglet, France. Supported by Ron House and Gerry Lopez boards and presented by O’Neill, this event witnessed some of the most high performance stand up paddle surfing to date by the athletes of the Stand Up World Tour, as well as the emergence of some serious local French threats, challenging the strong Hawaiian presence on Tour and demonstrating that France’s stature as a capital of European surfing is well deserved. Get it on – summer road trip – to Utah, land of BIG LOVE, BIG MOUNTAINS and BIG SUP RACING !!! 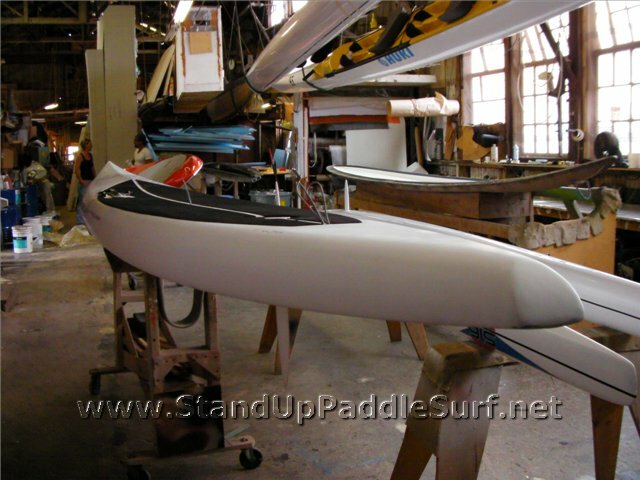 - H2O Overdrive SUP CUP PRO RACE to be raced on 14′ & under boards – your’s better be fast. - Ghost Town Paddle – 5 mile course for everyone over the ghost town – Keetley UT. -SUP Mountain Lake Expo – check out the latest designs & innovations. 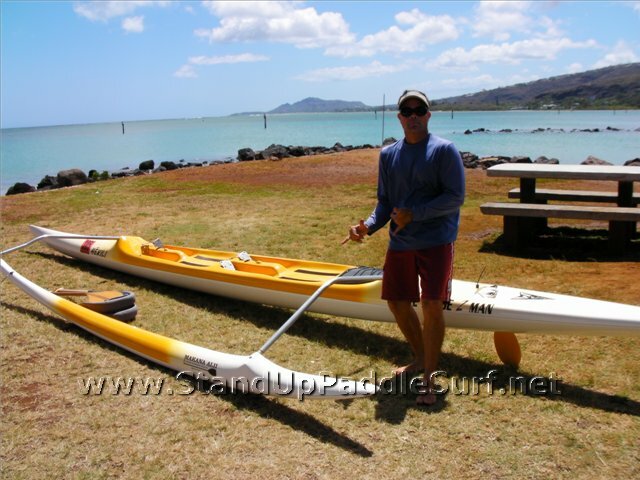 I did a Hawaii Kai downwind run with Doug Lock and Todd Bradley a while back. Todd was on a prototype C4 Switchblade and Doug and I rode his Wave Blade OC-2, 2 man canoe. The conditions were a nice 15 mph east trade wind and a great following tide which made the bumps connect really nice. I shot some video of the tips I got from Doug and Todd. I am now convinced that the best way to learn how to ride and connect open ocean bumps is to go with someone who is experienced and go in an OC-2. 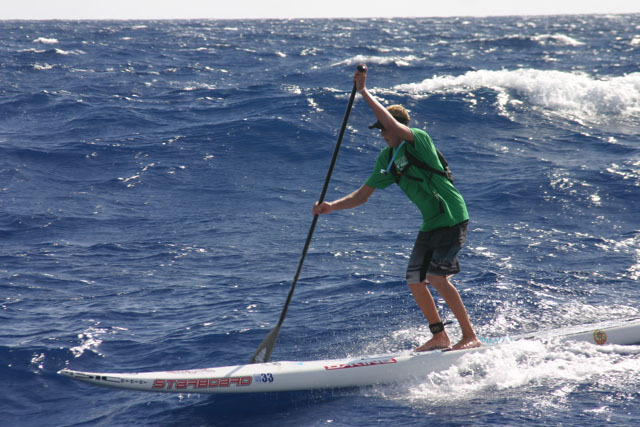 I just competed in the Naish Paddleboard Championships in Maui. What a great race. Well organized and really fun. It started at Maliko Gulch and finished at the Kahului Harbor – about 9 1/2 miles. 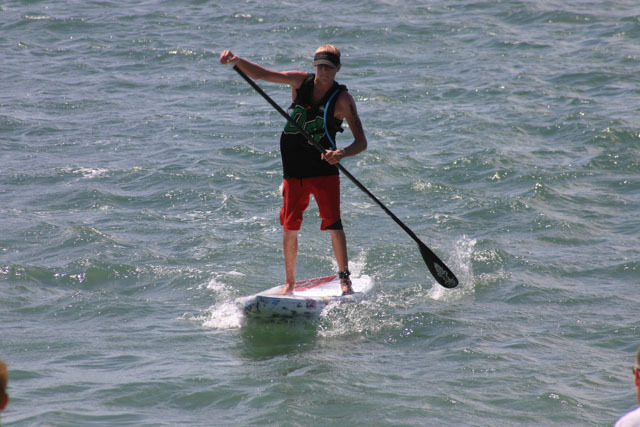 Surftech “Where to Next?” SUP Demo Tour Drops in on the Great Lakes! The Surftech "Where to Next?" SUP Demo Tour is traveling to locations across America, giving people the opportunity to try our boards for themselves and find out why Surftech stand up paddleboards are the best boards on the water. Famous GPS Will Prove that 32-Mile Channel Isn’t Always 32 Miles Across! 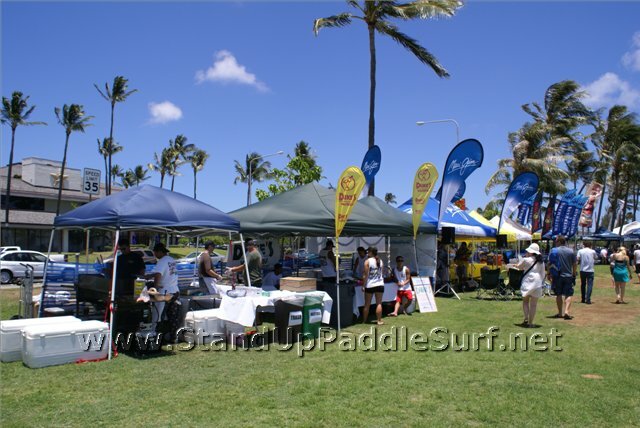 You are currently browsing the Stand Up Paddle Surfing in Hawaii - StandUpPaddleSurf.net weblog archives for the month July, 2010.